April is about to start in a few minutes, so I though I’d do something new for April. I going to be participating in Camp NaNoWriMo, so I may be spending a bit more time writing for that, rather than blogging. However, I don’t intend to have the number of blog posts decrease. I’d like to provide you with great content and great posts to discuss. So, I am asking for guest bloggers. If you are interested in being a guest blogger, please leave me a comment on this page, or you can go to my About page and send me an email. The content of the post should be related to books. They can be about any genre, as long as it’s not erotica. I want to keep this blog PG. Also, no advertising, as that is against WordPress.com’s terms of service. You can write about writing, reading, discussing different genres, different aspects of books, and so on. Let me know what you’d like to write about just so I can give it the green light. I will be linking back to your blog from the guest post, of course. I love statistics. I often look at numbers whenever I can. I want to see how they change and look for reasons why. I also enjoy seeing other bloggers post their numbers. It’s just fascinating to me. So, here are some statistics related to this blog. First, let’s look at the number of views. Since I started this blog in January 2012, I have reached a total of 9,744 views. This isn’t a big amount. My Japan blog has far, far more views, and regularly outperforms this blog even when I don’t update it while posting daily here. My audience is steadily growing here, though. Before November 2013, my best month was July 2012, when I did a post a day. I had 512 views that month. In November 2013, I did another post a day and had 730 views. The majority of those views came in the last half of November. December 2013 was a great month, because I continued posting on a daily basis, and achieved 1,152 views. I continued doing the same for January and got my best month to date at 1,259 views. February dropped a lot because I didn’t post much. I had computer problems and I was preparing for my sister’s visit. I had only 551 views. This month isn’t finished, and I already have more than 1,000 views. This year, I have more views in this past 3 months than I had in all of 2012. I’m on pace for 11,680 views this year, though it’ll likely be more. Rounding out the top 10 are: South Korea, India, New Zealand, Germany, and Norway. Interesting that a review is my top viewed page. And it’s Shakespeare! But the second highest is actually a long-time favourite of my readers. Going off this blog for a bit, let’s look at a couple other things. First of all is my Twitter account. I currently have 1,829 followers, and the number is growing quite steadily. It’s been increasing more quickly recently. I should be reaching the magic 2,000 barrier fairly soon. On Twitter, I have made 5,485 tweets. Looking at Alexa, this blog’s global rank is 3,464,696. In the past 3 months, I’ve improved by 91,163 places. On YouTube, since I’ve been pretty inactive and have merely used it for some rather random and unimpressive videos, none of my videos have more than 1,000 views. My most popular video has 749 views, and it shows what I see during a lull in a typhoon. In the future, I’m going to be very interested in seeing how my book sales go. It just seems really interesting to me. Stainless Steel Droppings is hosting another reading event. I’ve participated in the last two of their sci-fi events, but this one is for fantasy. 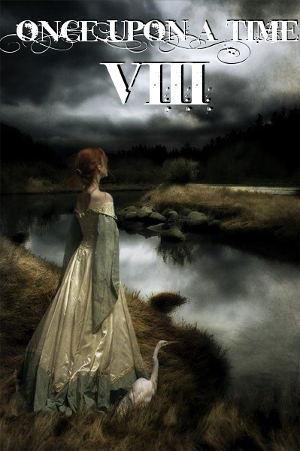 It’s called Once Upon a Time VIII. That’s 8, not Vee I I I.
What’s nice is that this event is 3 months long, spanning the entire season of spring from March 21st to June 21st. Plenty of time to get some good fantasy reading done! What I find interesting is that I hadn’t even heard of it before! I didn’t know about it last year, yet I still participated in the Sci-Fi Experience. Well, I’ll rectify that and participate in this now. I have some books to contribute, I’m sure. I’m currently reading Terry Brooks’ Angel Fire East and M. R. Mathias’ The Sword and the Dragon. I should be able to get to Terry Pratchett’s Moving Pictures and George R. R. Martin’s A Storm of Swords during this time, and maybe even Brian Kittrell’s The Circle of Sorcerers. If I can dedicate myself to reading all of that, I’ll be surprised, though. I have plenty of science fiction in the mix, so it’s not all fantasy. There are some challenges in this event, and it looks like I’ll only be going for Quest the First. That is, read at least five books in the four categories. I encourage you to check out the main page and the review page. I’m going to enjoy reading all that fantasy! Did you know that I have a YouTube channel? You didn’t? Well, here it is. I haven’t done much on YouTube recently, but I have plans to use it quite a bit in the near future. So far, I’ve mostly put up some rather unimpressive videos I took, such as fireworks, the sound of cicadas, some not very exciting typhoon videos, and so on. I’ve been going back over my videos and thought I’d showcase some of them here, just so you can get a taste of what I’ve taken. In honour of the blooming of the cherry trees, let’s start with this one. It was taken three years ago. Four years ago, I attended all three sumo tournaments that take place in Tokyo every year. Here are a couple videos from one tournament, starting with a Yobidashi singing, and then followed by a fan cheerleading. Five years ago, I went to Odaiba in Tokyo to see a museum, but there was also a full-sized Gundam model. Of course, I had to take a video. So, what am I planning to do with my YouTube channel? I may actually do some vlogging. The topics will include Japan, books, and nature. Arthur C. Clarke revisits the most famous future ever imagined, as two expeditions into space are inextricably tangled by human necessity and the immutable laws of physics. And Heywood Floyd. survivor of two previous encounters with the mysterious monoliths, must once again confront Dave Bowman—or whatever Bowman has become—a newly independent HAL, and the power of an alien race that has decided Humanity is to play a part in the evolution of the galaxy whether it wishes to or not. 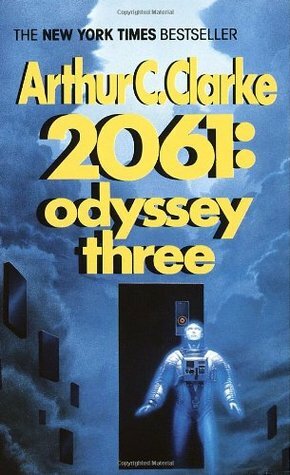 2061: Odyssey Three is the third book in the Space Odyssey series by Arthur C. Clarke. Obviously, this takes place 51 years after the events in 2010: Odyssey Two. Returning as an elderly man who is unable to walk on Earth due to being in space too long, Dr. Heywood Floyd takes a final journey to see Halley’s Comet, but he’s in for a bigger adventure than he bargained for. Inevitably, the story goes to the Jupiter system to find out what’s going on there. I won’t spoil it for you, but it will definitely involve a monolith. Heading the cast of characters is Dr. Heywood Floyd, the only person from the Leonov expedition to be present in this book. He’s now quite old and seems quite ready for an adventure. Unfortunately, I found him to ramble on a lot in his thoughts. Rolf van der Berg is a scientist on Ganymede, and he seems like a pretty selfish scientist who doesn’t like to heed warnings. I never really liked him. Floyd’s grandson Chris is also a major character, and he seems to be fairly level-headed and a likeable character. We also have a collection of other characters, such as the celebrities that accompany Dr. Floyd. They are a bit odd, but they are all quite one dimensional. They aren’t very memorable and have little to do with that actual story. The rest of the crew of the Universe isn’t very interesting. The crew of the Galaxy has a more interesting crew, though with the sheer number of characters and little time exposed to each of them, they are also easy to forget. I found that the character development was extremely lacking and most were very one dimensional. The story was not so predictable, but I found a lack of suspense. I wanted to know what would happen next, but I wasn’t on the edge of my seat. It wasn’t as dramatic as I’d hoped. It lacks the dramatic flair that the first book and, to a lesser extent, the second book had. Some chapters were rather dull and did nothing to progress the story. In those chapters, we had a lot of rambling in the narrative about something that was only vaguely related to what was going on. It was like an old man who is talking about one thing, then goes off on a tangent about something else entirely. One thing that impressed me is Clarke’s detail concerning the planets and moons, as well as space travel itself. It makes me feel like I’m there, although surrounded by uninteresting people I don’t care for. I may sound a bit harsh, but I was disappointed in the character development and some of the writing. It is an interesting story, though. Overall, I’d give it a 3 out of 5 stars. It’s not great, it’s not bad, but it’s reasonably interesting. Space exploration has been quite exciting in recent years. Mercury, Venus, the Moon, Mars, and Saturn currently have probes in orbit or on the surface. There are probes en route to Pluto, Ceres, Mars, and Jupiter. There are planned probes to Venus, Mars, the Moon, asteroids, and Jupiter’s moons. There’s a lot going on. However, I feel there could be more. I have six missions in mind that I would like to see happen. These are currently not planned, but some have been discussed in recent years. Venus currently has an orbiter, and has had several orbiters and landers in the past. It has been completely mapped by radar, and the atmosphere is currently being studied. 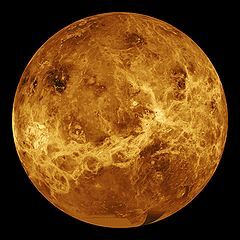 Although there have been landings in the past by the Soviet space program, those landers succumbed to Venus’ incredibly high temperatures and volatile atmosphere. I’d like to see a lander built to survive on the surface and provide us with several weeks of data. I’d also like to see a flyer that can observe both the atmosphere and the landscape. Maybe it can also see lightning. 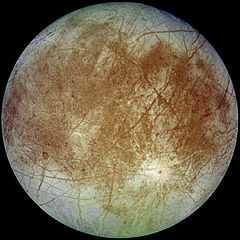 Galileo studied Europa, and there’s currently a probe on its way to Jupiter to study the planet, as well as the Jupiter Icy Moons Explorer planned to launch in 2022, but nothing planned to land on Europa. This is one of those places in our solar system that may have life. It has a liquid ocean under its icy crust, and that ocean is covering a silicate mantle. It’s quite possible that it could be geologically active with hot smokers like in Earth’s oceans, where microbial life may exist. But we have to be careful not to contaminate the world if we drill through the ice into the ocean. Saturn’s largest moon has already been visited by a lander, the Huygens probe, but it only lasted a short time. Cassini has done a great job seeing through the clouds to study this remarkably Earth-like moon’s hydrocarbon lakes in the polar regions. Titan needs a dedicated lander that can study the conditions for a much longer time. Perhaps a flyer would be useful, as well. 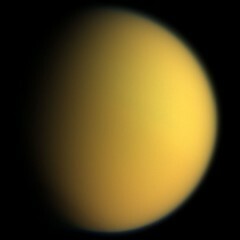 I’d love to see some of Titan’s landscapes. 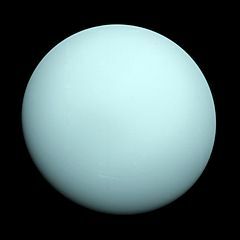 Uranus has only been visited once, by Voyager 2. This is a fascinating planet that’s sitting on its side. It has a ring system and plenty of very interesting moons, like Miranda, Titania, Ariel, Umbriel, and Oberon. This is a system that needs to be studied up close by a dedicated orbiter. We also need to understand more about the interior of the planet, as it’s most likely very ice. It’s called an ice giant, not a gas giant. 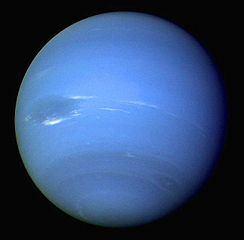 The other ice giant, Neptune, has also been visited by Voyager 2. This planet has a more dynamic-looking atmosphere, but most of the moons are quite small. 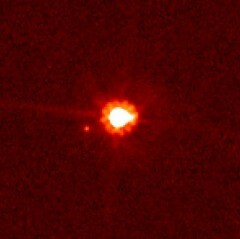 However, it has a unique moon, Triton, that is likely to be a captured Kuiper Belt object. It’s also geologically active. The most distant planet in the solar system needs an orbiter. The largest dwarf planet (larger than Pluto) should be explored in the future, as well. It’s a lot farther away than Pluto, but it could be reachable by a probe within our lifetime, I hope. Pluto will be explored next year, but I’d love to see what Eris is like, too. What is a world so far away like? It would be amazing to see it. These are the missions I would love to see in my lifetime. I’m anxious to know about these worlds. What would you like to see? I’ve just updated my About page with a contact form in case you’d like to email me. You can use my email address or just fill out the form. I’ve also got some other updates in the works. I’ll be making some individual pages for reading challenges. I’m also considering a change in the theme of this blog. It’s been this way for two years, and I’m interested freshening it up. Any comments? You know what to do.